← How to Get Hummingbirds in Your Yard! Thanks to Kevin Lee Jacobs for this great information that I want to save for next spring. How to break down the last of those fall leaves that you use to fill your flower beds? 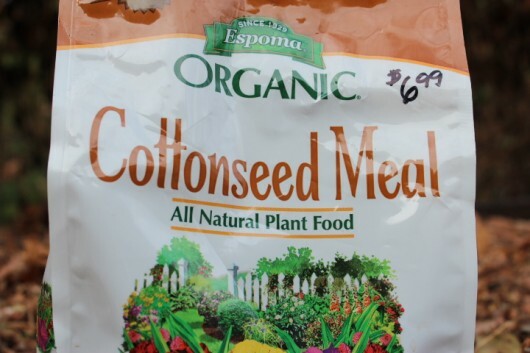 Kevin suggests Cottonseed Meal (which I’d never heard of). To help the leaves break down, I sometimes sprinkle a handful of organic cottonseed meal over each 6×4 bed. Cottonseed meal is almost all-nitrogen. It is nitrogen plus carbon (from the dried leaves) that produces heat. However, if the weather is already frigid, it makes little sense to add cottonseed meal at this time. You can always add it in early spring if your own leaves have not decayed sufficiently. Thanks, Kevin. Can’t wait to try this out. This entry was posted in Soil and Mulch. Bookmark the permalink.